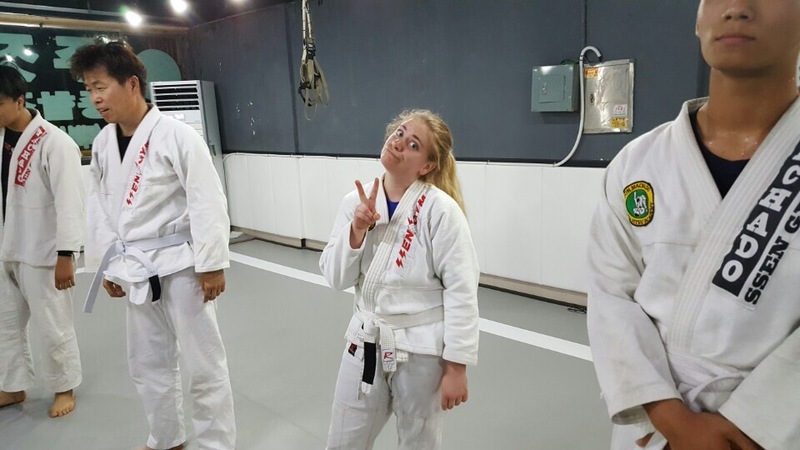 Great read about your jiujitsu experiences! Thanks! Is your blog new? Best of luck with your posts. It seems like it’s going to be really interesting! Yeah I just started out at the end of September, I’m off travelling for a few years to hit up various jiujitsu places around the world. Thought I’d get it all down on here 🙂 thanks for the support! I had my first class last week, and because I hadn’t been to the gym in over a month (illness, holidays, and constantly changing schedules oh my), I realized I was REALLY out of shape. I hurt in muscles that I forgot I had. And to top it off, my knees, which have been carrying too much weight for far too long, really didn’t like me. Well, I got support knee wraps to help me out in my more difficult work so I can bounce back quicker, and can’t wait to go back–though my knees will probably threaten to mutiny if they see those mats again. I’ll have to placate them with icy hot and those knee wraps, I guess. Thanks for reading my post! Yes, even when I take a week off, coming back to class can be hard on my muscles. I’ve found that stretching before and after really helps me reduce the soreness and avoid injuries. Best of luck in your training! Great post! The shark life is for everyone who wants to learn! Thanks for reading! 🙂 OSS!